Vibrant health isn’t rocket science - but there is a formula that’s unique to you. In this webinar we will share simple, yet incredibly effective tips and Ayurvedic health rituals that will help you to stay energised and healthy every single day. However, we know that creating and following a realistic health plan is fundamental to your success. And so, we’ll also be providing you with a free downloadable template to help you to schedule your personalised health formula. Discover how allocating just a few short minutes every day will be the best investment for your health that you could ever make. Studied Ayurveda before? This webinar is suitable both for beginners and more experienced practitioners. 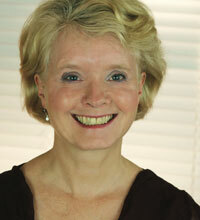 Annie is co-author of 'Dru Yoga Stillness in Motion', the source-book for Dru Yoga. She has been teaching yoga & meditation for over 35 years and has pioneered health and yoga programmes in schools, businesses and community organisations throughout Britain. She is passionate about providing tools and techniques to help others become totally empowered, vibrant and successful in all areas of their lives. As the director of the Dru Yoga Online Studio, Annie has filmed over 80 sessions on yoga, meditation, health and nutrition as well as invite many other health experts to make the best of their skills available to you, 24/7. She has appeared on numerous television and radio programmes and is the presenter of ‘Boundless Energy’, a 6 week online nutrition course as well as the Ayurveda Online e-course. Once you've booked for your webinar we'll be in touch with a an email. In that email is the link you'll need to reginar with the webinar platform (just your name and email address). Then, simply turn up on the night! Well, firstly, this webinar is for you! It's for you as a human being, to discover ways to nourish yourself more deeply, and to attain your lifetime goals more successfully. From there, the ideas and insights you'll learn will help you help others - whether they be your students, friends, colleagues and family members. As a teacher you'll gain a greater insight into how to help your students move forwards, and if you are a therapist you'll gain greater insights into how to help your clients in between sessions. For managers and group leaders, you'll gain a better insight into how to help people discover their goals and where to look for techniques to help them attain them. It's important to give yourself a clear, uninterrupted space for your webinar! It's always tempting to do several things at once when you're by a screen - but we highly recommend that in this case, you create 60 minutes of uninterrupted time for yourself. We'll be covering some very special material that we hope will make a wonderful difference in your life. You are worth it - and you deserve it! We're hoping to explore some beautiful experiences together. To give yourself the best opportunity for this, it will be well worth doing some centering beforehand. You could use the Moon Sequence or Seat of Compassion, or try the Earth Meditation - a gift to you!